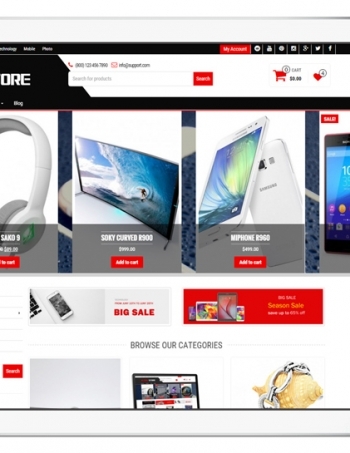 E-Shop is perfect WooCommerce theme for WordPress suitable for any kind of e-commerce websites. and say hello to WooCommerce WordPress Theme. 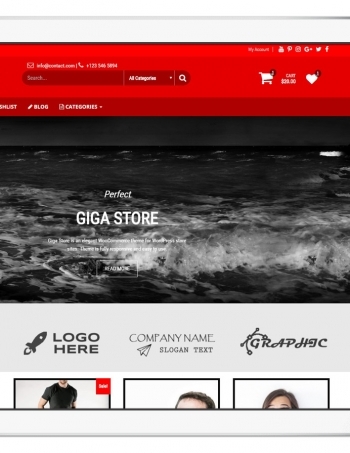 This theme is fully compatible with WooCommerce plugin. Install the plugin, add products, setup payment methods and your are ready to sell. Beautifully integrates with YITH WooCommerce Wishlist plugin. Add all the Wishlist features to your WooCommerce site. Theme is fully compatible with WooCommece. Theme is packed with dynamic and easy-to-use inbuilt features and advanced theme options that allows you to configure and complete your website with little effort. 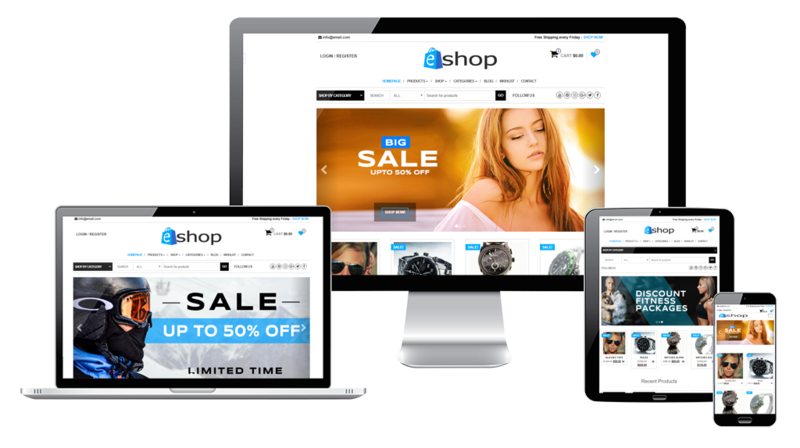 Theme is customizable and easy to use free WooCommerce WordPress Theme for any kind of online store or downloadable products. WooCommerce is the most popular WordPress platform and theme works with it. Integrates with YITH WooCommerce Wishlist plugin. Add all the Wishlist features to your WooCommerce site. Import your demo content, images, widgets and theme settings with one click. Super simple and easy. You can choose from 600+ fonts and use it where you want on your site. You can choose from a multitude of colors so that you can find the right one that works best for your needs. Theme includes left and right sidebar. You can use them separately, disable them or enable both. The menu can be fixed to the top of the browser so it is visible at all times. Easy to use homepage tabs with many awesome customization options. Theme supports 2 free Ajax search plugins. These plugins allows your users to search products in real time. The Compare plugin allows you to compare more products of your shop in one complete table. You can change the footer copyright information with your custom footer info. Easily change it from theme customize section. Another great feature is that you can choose from different styles of headers. Theme supports free Mega Menu plugin, the highly customizable drag and drop menu builder plugin. Theme includes awesome shortcodes generator with 20+ custom shortcodes with awesome design. With custom templates you can create unique designs with slider, carousel, category or masonry layouts. You can translate your website into any language using WPML plugin or even use .po and .mo files as well.